Many industrial zones nationwide have a very low space-occupied ratio, with thousands of hectares having been abandoned for years. “Many investors tried to occupy large areas in a good location in industrial zones and then left them abandoned for years,” said vice chairman Le Quoc Dung of the Economic Committee of the National Assembly. Thousands hectares of agricultural lands in Ha Nam Province have been cleared in order to make space for industrial zones. Pham Ba Tung, deputy head of the Ha Nam Province Industrial Zones Authority, said eight local zones with the total area of nearly 2,000 hectares have low occupied rate. 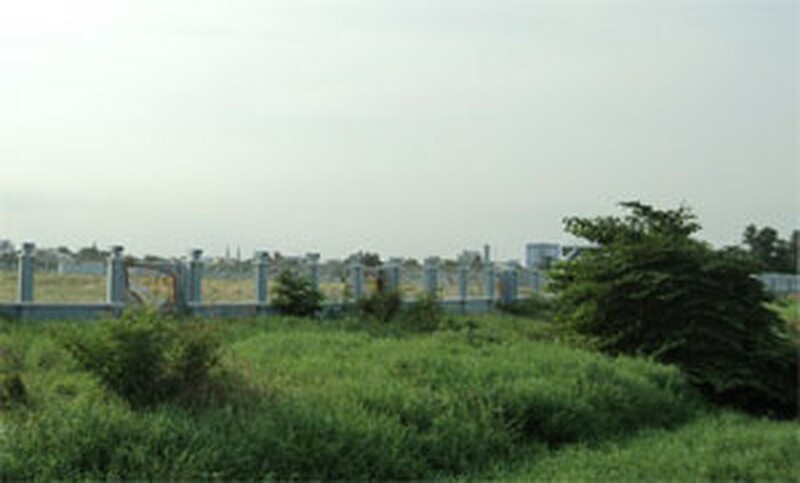 Only 4.8 hectares out of the Hoa Mac Industrial Zone’s 131 hectares have been rented, while only around 21 percent of Dong Van II and Chau Son have been occupied, Tung said. “The statistics indicate that hundreds of hectares of agricultural lands have been abandoned,” said Dung. Mekong Delta provinces are coping with a similar issue, with most of the total area of 23,900 hectares of 74 industrial zones being vacant, according to the provinces’ department of industry and trade. Yet, local authorities still rush to designate more lands for building industrial zones. “Many hectares of paddy fields and orchards in Mekong Delta provinces have been cleared to make room for industrial zones since local authorities were very eager to beef up industrial sector,” said Dr. Vo Hung Dung, director of the Vietnam Chamber of Commerce and Industry’s Can Tho City branch. Although experts warned the issue would put the country’s biggest rice basket at risk, local authorities of many provinces still build more industrial zones. The Tran Quoc Toan Industrial Zone’s total area in Dong Thap Province is set to expand to 2,730 hectares by 2020 despite its large abandoned area. Ben Tre Province’s authorities are planning to expand the An Hiep Industrial Zone and build five more. Song Hau and Tan Phu Thanh in Hau Giang Province, which are almost vacant, were expanded to 940 hectares from 400 hectares in May. Analysts warn that an increasing number of industrial zones is prompting to environment pollution. Statistics show industrial zones discharge 1 million cubic meters of wastewater daily, of which only about 30 percent are treated. The number of industrial zones equipped with wastewater treatment systems nationwide is very low, said Nghiem Vu Khai, deputy minister of science and technology. “Improving infrastructure helps boost regions’ economic growth. However, local authorities should fully comply with regulations on setting up industrial zones,” said Dang Huy Dong, deputy minister of planning and investment. Figures from the Ministry of Planning and Investment show there are 260 industrial zones with the total area of nearly 71,400 hectares in Vietnam last year, attracting 4,000 foreign direct investment (FDI) projects with the total investment of US$53.5 billion.